Imagine flying a fighter jet, deep in to enemy territory. Bogies all around, shots being fired, missiles whizzing by your cockpit. Then suddenly you’re hit! As you are falling to the earth you eject and land on what you think is a deserted island. After unstrapping yourself you feel the ocean breeze on your face, which suddenly grew a full beard. Birds are chirping, monkeys howling, you feel a tap on your shoulder. You turn around and are greeted by a native. 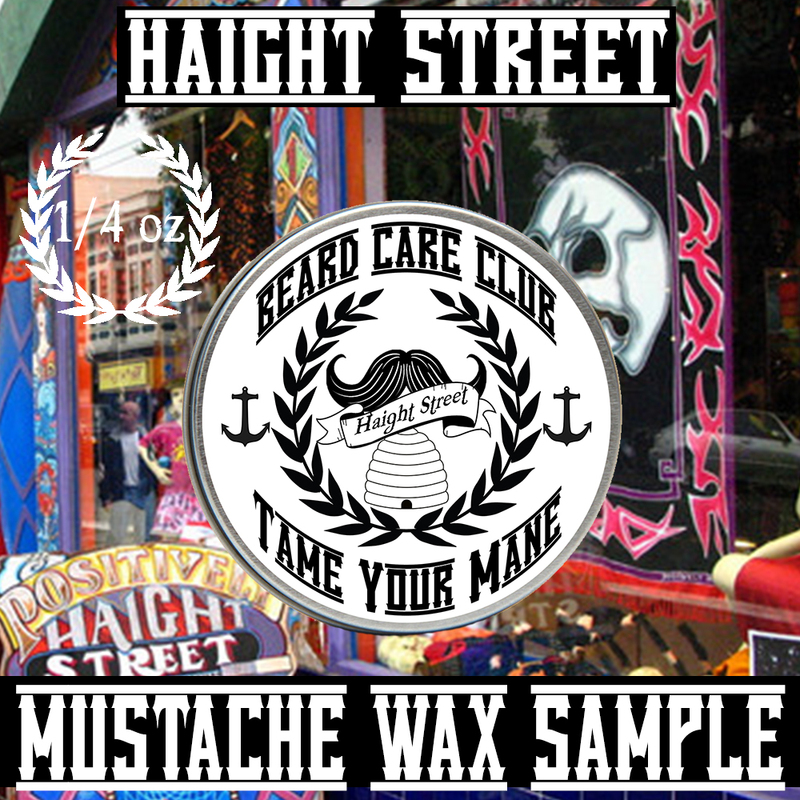 She hands you a tin of Haight Street Beard Balm and whispers, “Beard like you mean it”. As you start rubbing Haight Street Beard Balm between your palms the sound of the ocean waves is drowned out by Whitesnake’s “Is This Love”. You rub your fingers through your man mane, you’ve never smelled such gloriousness, and neither has the native standing in front of you. She tells you, “You are now a God, come with me”. The two of you approach an unknown city full of nothing but native women who have never seen a man, let alone a God like you. The power of Haight Street gives you intense confidence, you demand a celebration and the natives happily abide. The night sky becomes dark like a sheet being pulled over your head. Six of the hottest natives gesture for you to join them in their quarters, jumping out of your throne you rush to them, after all, you know what is going to happen. Suddenly you wake up, you’re at work. Was that just a dream? No… that’s the power of Haight Street. Haight Street will take you back to the 1960s with its hint of patchouli, followed up with the sweetness of honeycombs, and finished with a light scent of candied fruit and lemon peel.